If you Google restaurants in Bahadurabad this very instant, you will precisely find more than forty names. Interestingly, this number doubles for restaurants delivering food in Bahadurabad if you browse through foodpanda. Not too long ago, Bahadurabad homed a few new restaurants. So, our focus today is catching up with new places that recently went onboard foodpanda and deliver to Bahadurabad’s immediate vicinity. The same restaurants deliver to nearby areas as well so once you sit down and browse through the menu, remember to match your area with respective restaurant. While we talk about what other places have gone live on foodpanda, we’ll also recommend delectable picks from each of these restaurants to help you plan a day’s meal. We first begin with breakfast of the day. Since we’re going to go on a long day of heavy eating, let’s start with a less elaborative and energy packed breakfast of Chocolate Delight Crepe. New York Coffee is best known for its breakfasts and this item has always been a favorite of many. 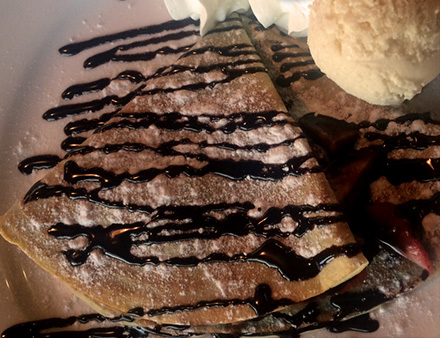 Crepes are fine, light and with sprinkled chocolate sauce and a scoop of gelato it makes all kinds of morning cheerful. We suggest you add an Espresso Primo with your order to kick start the day. For lunch, we have one of our favorite places onboard. We took some time to do the choosing for you and so three items have been mentioned here. Kababjees is now serving in all major areas of Karachi. The restaurant with an extensive menu went live on foodpanda’s platform only recently and deserves limelight for being one of the favorite restaurants of our customers. There are a number of items you can order from their Desi Tarka category. We picked Brain Tawa Masala that is served with butter melting on top and a range of naan to select from. If you must order this particular item for lunch remember to include some Fresh Lime in the end. After a sinfully pleasant tete a tete with crepes for breakfast, you may feel like going for something salty and crispy. 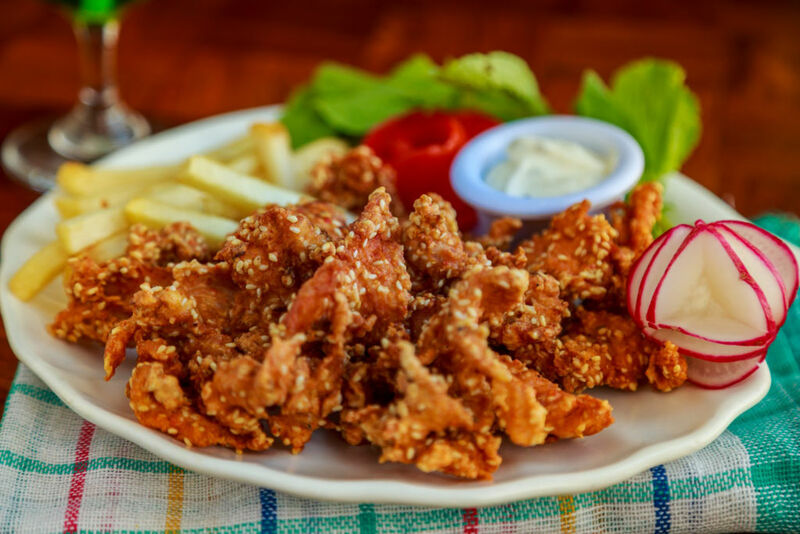 So we picked Dhaka Chicken for you which is simply crispy fried chicken with lots of sesame seeds on the skin. It is served with French fries and sauces to make a complete meal. Some of us just can’t dismiss the thought of ordering BBQ from Kababjees via foodpanda. 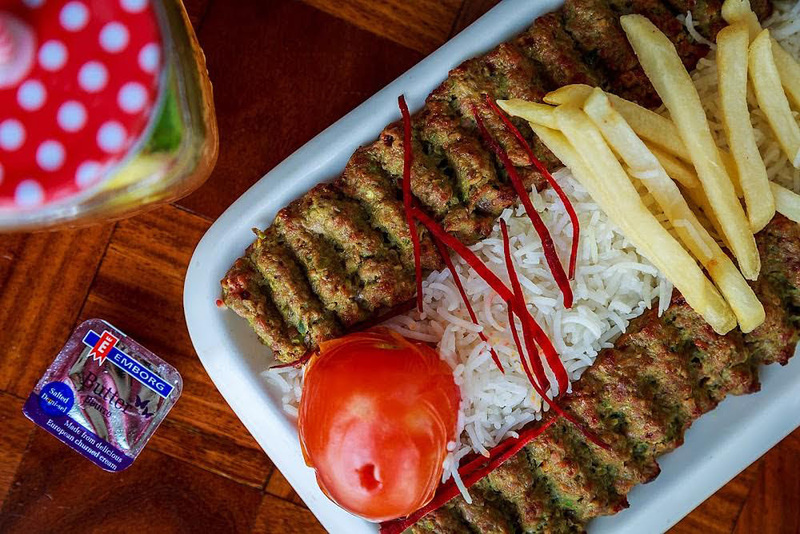 Hence, we’re bringing the popular item Rango Kebab here in the limelight for you. These mutton kebabs are delectable and any BBQ lover would instantly fall in love with the flavor. 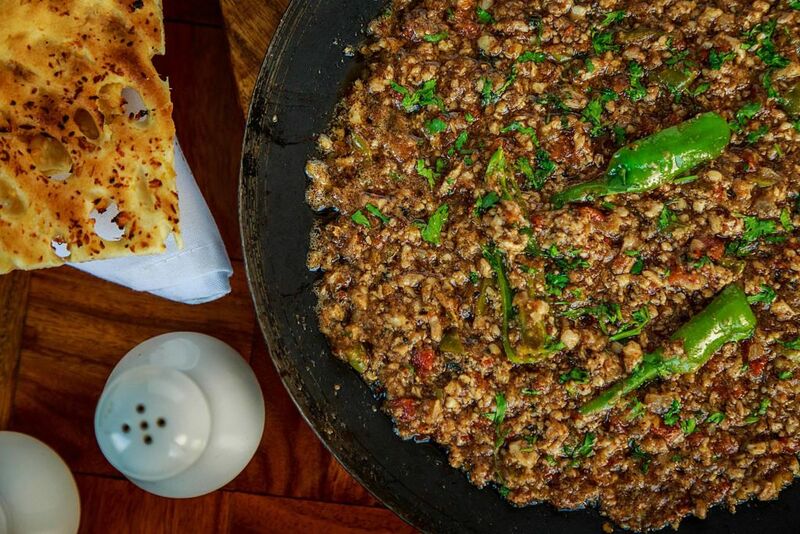 They are served with a BBQ Chutney but you’ll have to order Naan or Parathas, separately. 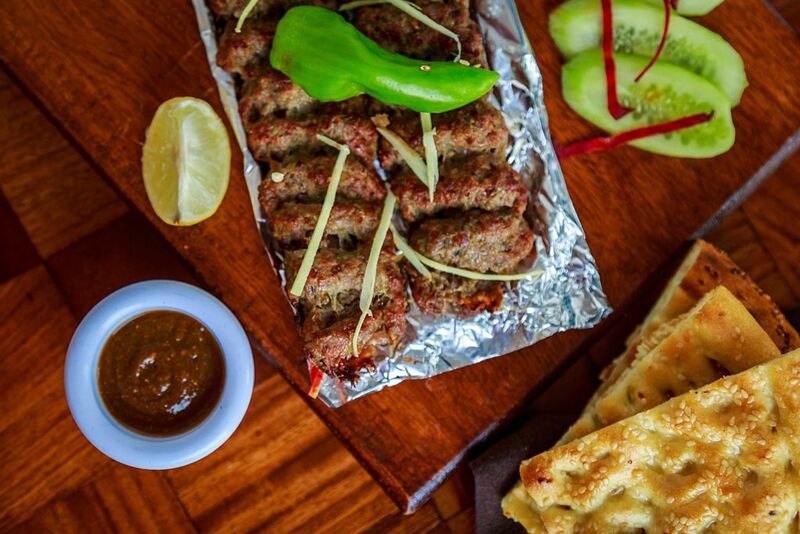 Kebab lovers, if you still want to indulge with grilled food but want to keep it less spicy then go for Chullu Kebab. It is a complete meal and you wouldn’t have to add condiments while ordering. Served with plain white rice, roasted tomatoes and green chilies, butter and French Fries. Now that we are done with lunch, let’s move on to options for evening snacking. We have picked two places that recently went live on foodpanda. There are a great number of places for snacking which deliver Chicken Chutney Rolls, Fried Chickens, Burgers, Wraps, Aloo Chaat and much more. Let’s review our picks below. 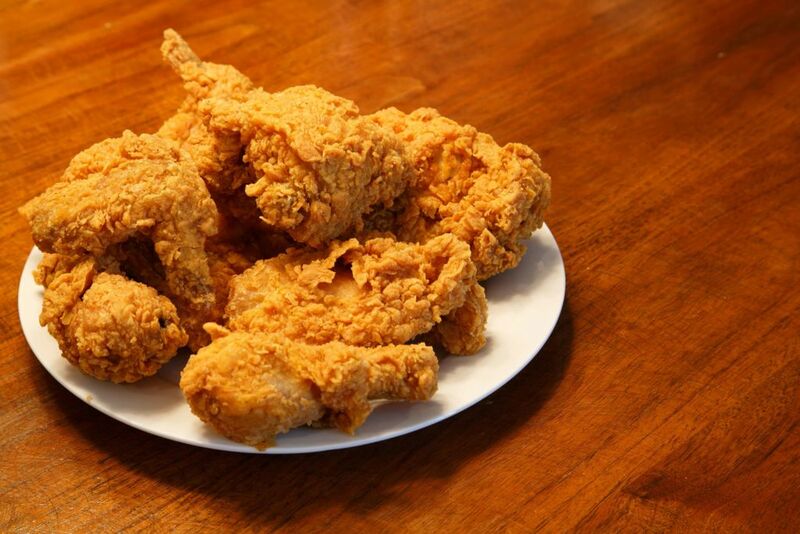 Who doesn’t love some crispy fried chicken? You can order Fried Chicken Chips from Beezer Bytes which a fairly new restaurant is doing great stuff every day for fast food lovers. Beezer Bytz foodpanda menu is currently four different options for fried chicken. We recommend you to try nine pieces meal which is served with dinner rolls and drink. Evening snacking and no mention of burgers? That’s not possible! Here we are with Yellow Potato that has an extensive menu of fast food items. 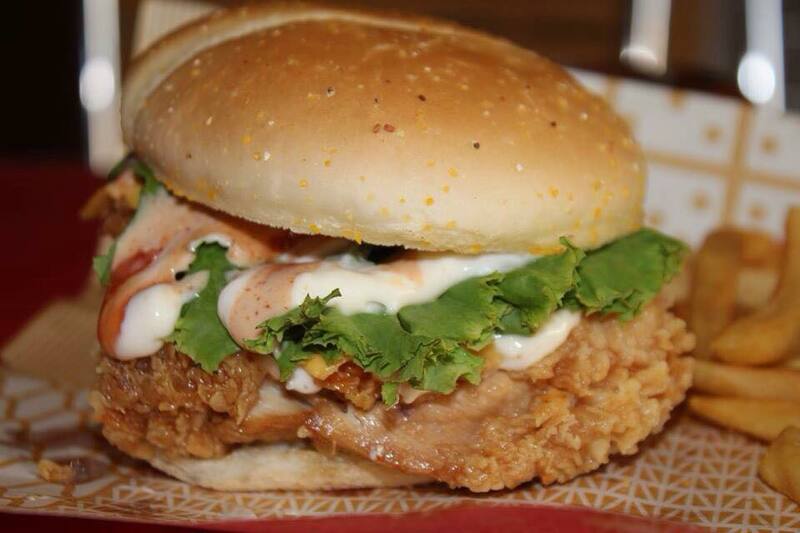 You can order their Crispy Chicken Burger which is an amazing work of melted cheese, mayonnaise, ketchup, crisp fried chicken fillet and soft buns. Dinner should be cozy and comfy and preferably the one that makes you snuggle into a couch and binge-watch on TV. We are of the same view, therefore, picked a pizza and a grilled chicken place for your last meal of the day. Domino’s has been for a very long time on foodpanda. 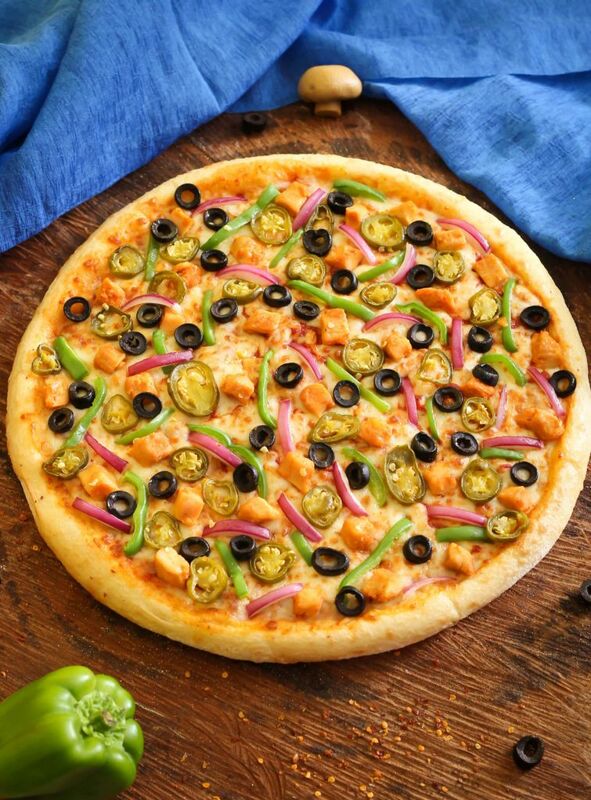 We love their thin crust pizzas and so do you. In today’s edition we’ve picked two flavors that suit the local palette. Mirch Masala is the spiciest of the local flavors range and we’ve picked it today for its unique flavor. Order a medium 11 inches pizza with Chicken Wings, Cinna Stix and drink of your choice. 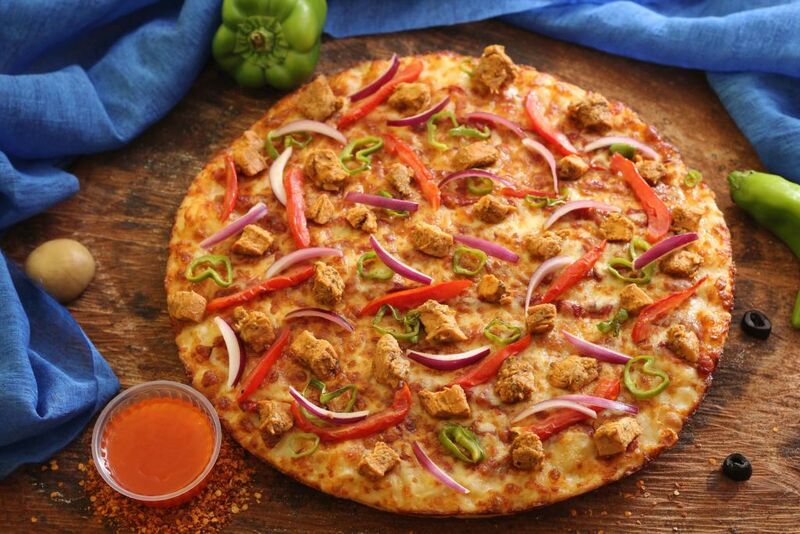 Another local favorite is Hot & Spicy Chicken that is a delicious combination of chicken, onions, green peppers and jalapenos. This one is available in hand tossed crust so you’re bound to eat a few extra slices. Grilled chicken is one thing you can never say no to. We’re always up for grilled chicken because for one, it is delicious, and two, it is the most fulfilling meal to dine in the comforts of your one’s home. 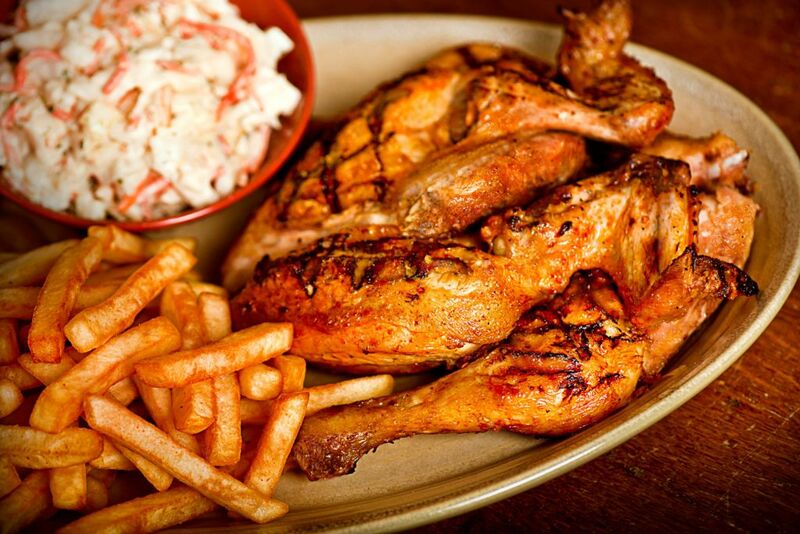 Nando’s quarter grilled chicken goes best with sidelines; Corn on the Cob, French Fries, Cole Slaw, Wedges and Grilled Vegetables. For your order, pick quarter chicken with two sidelines and a drink. We’ll cover more places around the cities. Do you have a suggestion in mind? Tell us in the comments below.